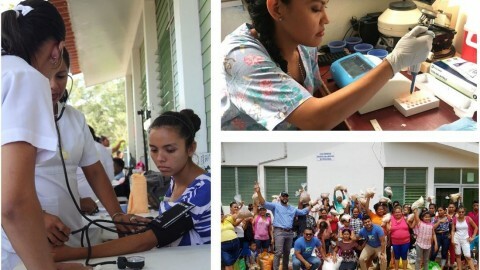 The first SMA Surfiatrics Conference was a success even with minimal to average waves. 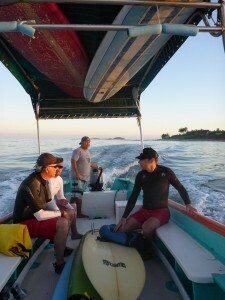 The Punta Mita area has five surfing spots. We had the most luck with Bahia which is a west facing break and conditions varied from knee high to almost head high. La Launcha and the Hotel Cinco break had waves, but minimal at best. However the water was warm and it did aging bodies good to be there. The week started with a social get together to partake in local beers and tequila in unit #204, where we continued to have small informal discussions. Dr. 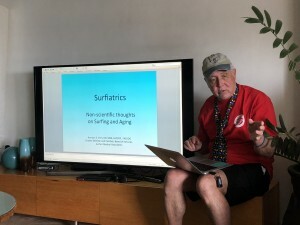 Norm Vinn , the man behind the term SURFIATRICS, started the conference presentations with the history of the term and how long the discussion of surfing and aging has been around. Surprisingly this topic has been in SMA discussion since early Tavarua conferences and SMA appears to be the leader in this area of research. Bill Jones, PhD, Surfing and Getting Old, “Keeping the Stoke” An individual Story. 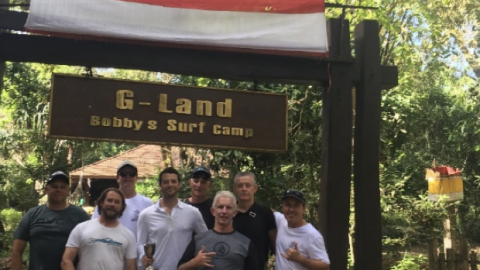 Bill presented his unique health/medical history and how he has been able to stay in the water transitioning from surfing to now being a full time SUP surfer. Michael Allen, WMFR & SMA West Coast Director, Continuing Evolution of SMA & SMA updates. Michael brought up the “state of the organization” and how SMA is evolving and continuing to grow. Dr. Rich Guess, Why Are We Still Doing This??? Dr. Rich presented a history of medical procedures that are still being done, but have outlived their usefulness with technology and newer non-invasive procedures. 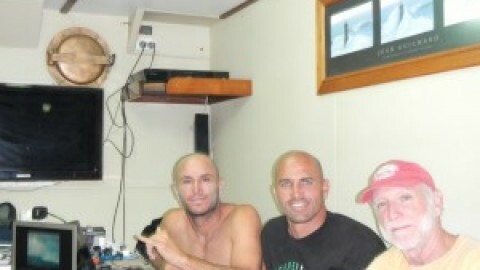 He also discussed his Marshall Islands trip last year with Kelly Slater and Shane Dorian. 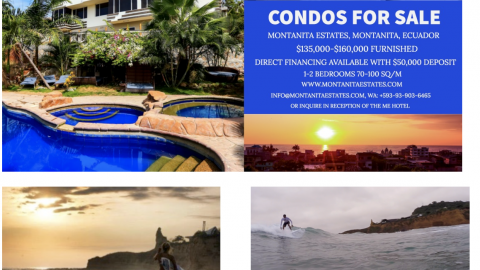 Finally he gave an advertisement for his home rental on Kauai. Dr. Michael Rowbotham, Opioids and Aging. Dr. Rowbotham gave a very detailed presentation of Opioids and other medications which are used and abused today. This presentation also demystified current news media and provided facts about the history and present condition of Opioids. Dr. Deric Weiss, Memorial Paddle Outs. Dr. Deric, an inland empire surfer from Montana, via Hawaii, gave a very enlightening history of the memorial paddle outs being held to celebrate surfers who are riding the eternal tube. His discussion also included palliative care and quality of life; the difference being a focus on the patient’s last days of life rather than focusing on impending death. The two may sound the same but there are great differences when it comes to patient care. Dr. Andrew Nathanson, Journal of Surfing Medicine updates. 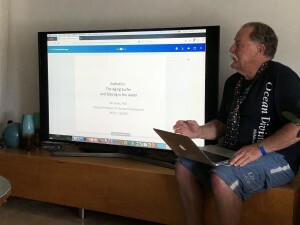 Dr. Nathanson, the editor of the Journal of Surfing Medicine, went over the evolving history of the Journal as well as some key articles and research. Dr. David Anderson, Shoulder Injuries and Rehab. Dr. Anderson gave an informative slide show of shoulder injuries as well as the operating procedures used. He also had a very useful set of exercises and specific stretches conducive towards keeping the aging surfer in the water. Some of the SMA members asked if he could check their shoulders and he was happy to comply, providing a strength, and range-of-motion test. On the last day of the conference we had an opened-ended discussion on several issues. One area of discussion was the input of spouses and significant others as to why aging surfers need to stay in the water. We also detailed the most significant surfing injury that participants had experienced during their lifetime. This discussion brought about the most incredible and amazing story by Dr. Robert Lawson on a surfing experience that happened in his late teens, which propelled him into becoming a doctor. Michael Allen will be working with Robert to get this story documented and submitted to the SMA journal. We pull closer to El Faro and see the waves, long right lines breaking across the coral reef. We swing wide around the point and head to Bahia where there is an inside spot that breaks both left and right, and a point break that is a perfectly placed right over shallow reef. Our boat anchors, I throw my board over, jump in and start paddling towards the point. No one is there and the swells hit the reef producing a bending, wedging peak that makes for a nice drop, and a long right line if you can maneuver through the bending reef. It is a great wave and I feel comfortable out there. I have my water-proof camera in the pocket of my surf trunks and have tied a neti-pot bottle to it to use as a floater. Without it, the camera would sink to the bottom. You have to be resourceful and creative when you surf away from home. We surfed nearly 3 hours on this day. The camaraderie with all of us in the water was as good as it gets. A bond that happens between surfers is something unique and separate from anything else I have ever experienced. We finally paddle to the boat, load up, and head back, gliding over the smooth ocean surface, feeling the gentle breeze against my face. We arrive back on shore, unload the boards, and pay our boat driver. I remove my sunglasses and hand them to him. He is not wearing sunglasses, has no eye protection, and I tell him he needs to wear these. He is appreciative, but we are also appreciative of him, of his boating skills, and his knowledge of the local surf spots. I shower off and jump into the little heated pool to warm back up and let my muscles relax. We all compare notes about the morning surf session and know that today will be talked about for years to come.